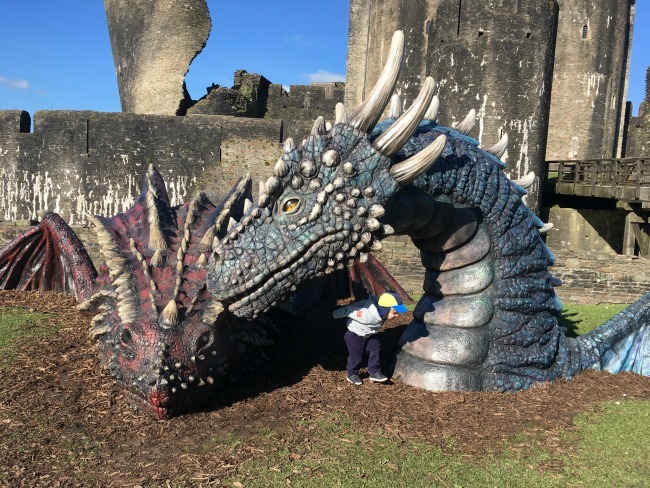 When we visited Caerphilly Castle last year to see the dragon, Bear was quite wary especially when smoke came out of his nostrils. 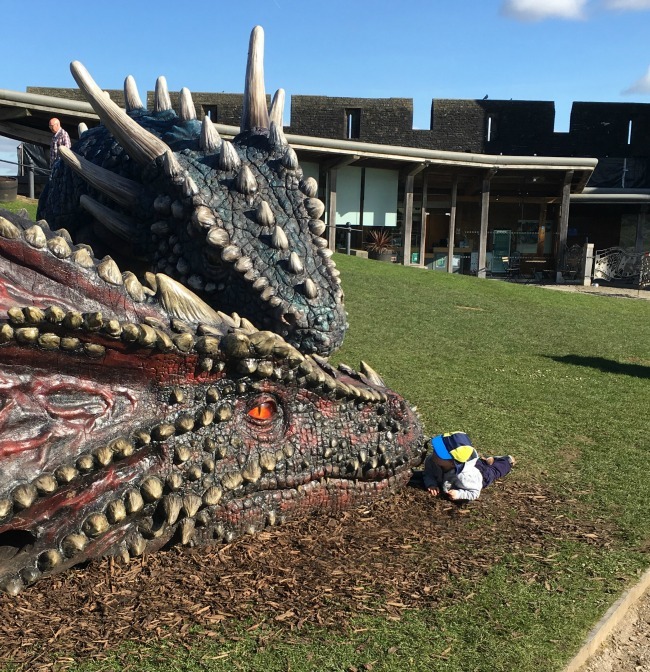 He knew the dragon was not real but he didn't want to be too close to it. This time there are two dragons, and he loved them. No fear at all, in fact he lay down to kiss the one on the left. Wow, they're amazing!! And I think Bear is SOOOO brave! What an amazing dragon and how brave! They do travel around Wales and appear in other castles, so check if they are there before you visit. Although Caerphilly castle is still worth a visit.